Submit Your Software Product to 1000+ Download Web-Sites. PAD XML File Submission Service will advertise your product by submitting it to 1000+ download websites and will save you much time and money. You will get hundreds of new direct links to your website from download catalogs and archives that will drive traffic to your website, increase the number of downloads and boost your shareware product sales. directory submission software takes good care of you. Qweas is providing links to PAD XML Software Submission Services 1 as a courtesy, and makes no representations regarding PAD XML Software Submission Services or any other applications or any information related thereto. Any questions, complaints or claims regarding this application PAD XML Software Submission Services 1 must be directed to the appropriate software vendor. 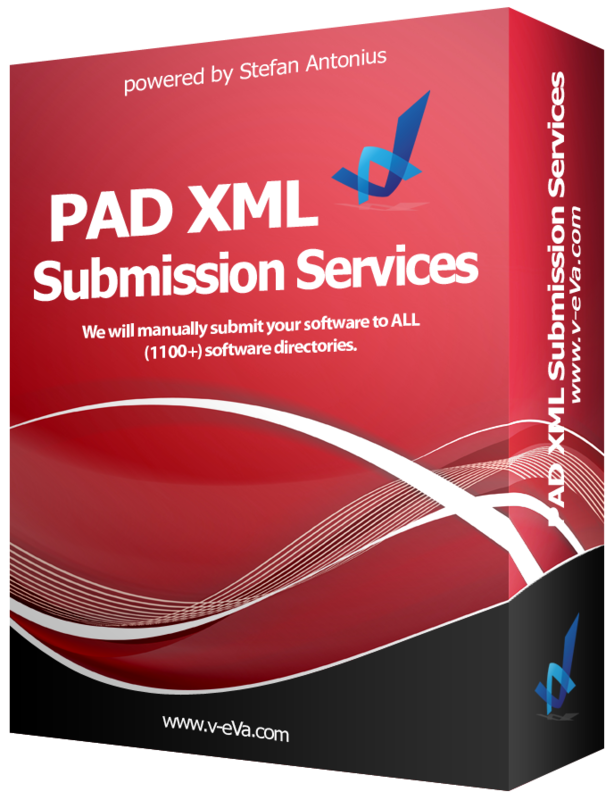 You may click the publisher link of PAD XML Software Submission Services on the top of this page to get more details about the vendor.